Shootings have left two people dead and six wounded since Wednesday. CHICAGO — Shootings have left two people dead and six wounded since Wednesday. • At 2:21 p.m. Wednesday, a 24-year-old man was shot and killed in Garfield Park. • At 10:52 a.m., a 22-year-old man was killed while driving in South Chicago. • At 3:11 a.m. Thursday, a 38-year-old man was shot in Englewood, police said. The man was in the 400 block of West 63rd Street when he was shot in his right knee. The man was taken to St. Bernard Hospital in good condition, police said. • At 9:21 p.m. Wednesday, a 21-year-old man was shot in Riverdale, police said. The man was in a gangway in the 400 block of East 133rd Street when several people walked up to him and fired shots. The man was hit in his right leg and left thigh. He was taken to Advocate Christ Medical Center, where his condition was not available but he was listed as "stable," police said. 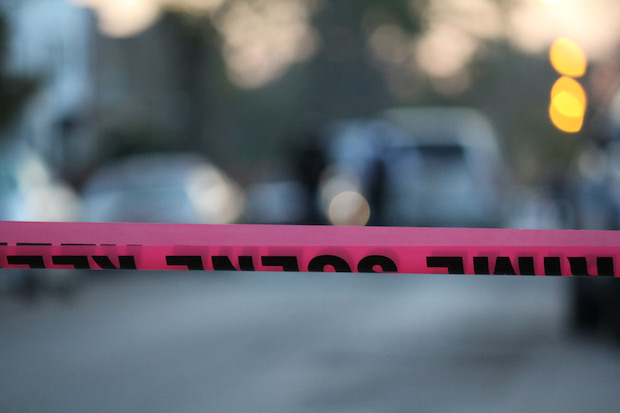 • At 7:05 p.m., a 25-year-old man was shot in Brighton Park, police said. The man was walking outside in the 4200 block of South Kedzie Avenue when someone in a ski mask fired a shot at him. The man was hit in his right arm and he was taken to Mount Sinai Hospital in good condition, police said. • At 3:21 p.m., a 20-year-old man was shot in North Lawndale, police said. The man was in the 1200 block of South Lawndale Avenue when he was shot in his buttocks. The man was taken to Mount Sinai Hospital, where he was in good condition, police said. The man was uncooperative with investigators, a police source said, and no further information was immediately available. • At 1:08 p.m., a 23-year-old man was shot in Englewood, police said. The man was in the 1000 block of West 59th Street when a man fired shots at him. The victim was hit in his left leg and he was taken to Stroger Hospital in good condition, police said. The gunman got into a dark-colored car and drove off after the shooting, police said. • At 12:46 p.m., a 16-year-old boy was shot in North Lawndale, police said. The boy was in the 1100 block of South Richmond Street when he got into an argument with someone and the other person pulled out a handgun and fired shots. The boy was hit in his left leg and he was taken to Mount Sinai Hospital in good condition, police said.